Handwoven of natural wicker, this whimsical piece is made to look like a house. Has a decorative braid around the top of the hamper and the lid. 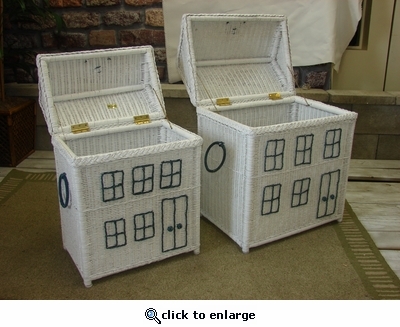 Prefect for storing clothes or toys. Available in White finish with blue trim.